Experts share their advice for home improvements. Making your home work for you is possible – without completely draining your patience or wallet. 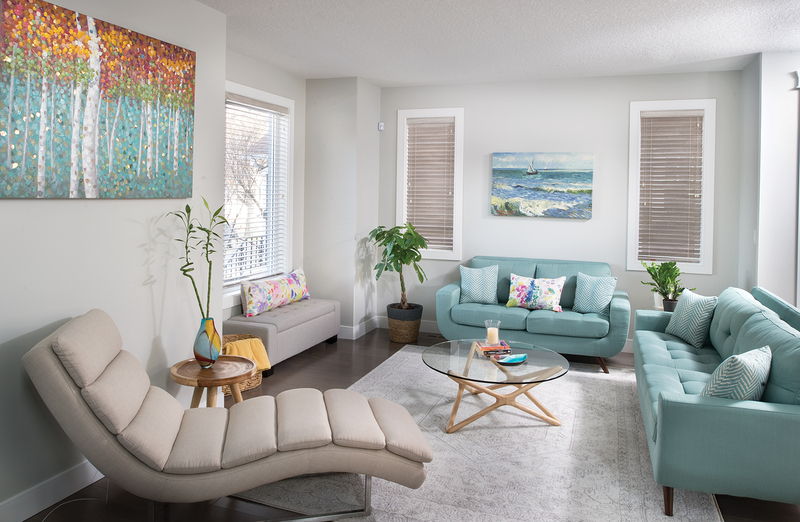 Jenelle Gartner was looking at fixtures and furnishings for the renovation of her family’s late 1960s Parkview home and, suddenly, she felt overwhelmed. She could choose between a bright navy as an accent colour in her tiled backsplash, or go for a more subtle grey. She could rearrange the layout of the kitchen in several ways. She was torn between mid-century modern and an overall contemporary style. Gartner is a graphic designer by trade, so she has a creative eye. But the big choices -from function to layout – weighed heavily on her mind as they carried large price tags, and she wanted the form and function to work with her two young children and their lifestyle. Gartner and her husband, Terence Harychan, knew that the older style of their home, with its divided living spaces and small kitchen, wasn’t going to work right away, so they made the changes before even moving into the house. They’d previously lived in a centrally located home, and were looking for a place they could renovate in an area that had good school options – the Parkview house was ideal. As we all head through different stages of life, our living environment will need to evolve along with each of us, whether we’re moving in with a partner and consolidating years of furniture, making space for a new baby, converting rooms into different uses or downsizing as empty nesters. Navigating the big renovation decisions can be challenging, even for the most creative among us. After her experience, Gartner advises hiring a designer to plan things out properly for a renovation. After struggling with the layout of her kitchen, she hired interior designer Candace Wolfe for a short consultation that expanded into Wolfe designing an overall floor plan. “I basically took her plan and rebuilt it so it flowed better,” Wolfe says. Initially, the kitchen was more of a nook with all of the cabinets and appliances in one corner, but Wolfe knew Gartner would be making meals while watching the kids. So an open area with the placement of appliances switched made more sense. Now, there’s plenty of space to work in the kitchen with cabinets and workspace on an additional island, and it has an open, warm feeling that was absent in the initial design. Wolfe says taking on a renovation like this one can be done by anyone, but it’s important that everyone in the home decides beforehand exactly what they want from the space. “If you’re a new couple moving in together, are you going to host dinner parties? Is it going to be like your retreat where you go because your regular day is so busy? Are you getting a dog or having kids?” Wolfe asks. Jenna Pryor of Plum Home and Design, a retail store and interior design firm, agrees. “We like to have all the answers before we start swinging hammers, and before the dust starts flying, because the moment that happens, you have a crew on site [and] there’s pressure to make decisions – last-minute decisions can be very expensive,” says Pryor. Once you make a decision around the purpose of a space, you can create concrete plans, deciding on what specifically needs to be done. Creating a design board that has all of the furniture, the colours and the fabrics is also a good idea to ensure that everything is coordinated. It’s also a matter of prioritizing, since most people will not be able to do entire renovations or redesigns all at once. When Jillanna Sehn and her husband, Michael Shepherd, bought their first house together – moving from a 600 square-foot apartment to over 2,000 square feet – they had to decide what was most important to do first. They’d been law students up until recently and, until last year, never had the resources to purchase new furniture or design such a large space. Because their house was built in 2015, they don’t have many renovations to do, and instead are focusing on decor. They plan to be in this space for a long time, and, as a result, want the design choices to last, as well. The furniture they are purchasing now goes beyond the hand-me-down pieces they had in the past. A prime example is the kitchen table, handcrafted by Simply Amish Furniture, that Sehn says she hopes will become a family heirloom. “It’s a huge dining room, so we bought a big table to fit, and we love to entertain. We want this to be our forever table,” she says. Longevity should also be at the forefront of a renovator’s mind even in spaces where the occupants themselves are rapidly changing – case in point, a nursery. Many people think of the baby’s room in terms of those early months; and it’s easy to get caught up in an industry catering to those looking for tiny furniture, cutesy cloud wallpaper and designer cribs. Meanwhile, Wolfe says by keeping the room neutral it’s possible for the design to grow with the child, while maintaining its short-term functionality. Rather than buying furniture geared specifically to a baby, you should purchase items that will grow with the child such as full-size dressers that double as change tables, and regular book shelves. Colourful and fun elements can be added with books, mobiles, artwork on the walls or removable decals. For empty nesters and those looking to age in their home, it’s also important to consider the future. Changes to the home can range from large-scale shifts of entire rooms so that places used most frequently are on the main floor – especially kitchens and bathrooms – to small fixes like adding easy-to-use hardware on cabinets. Extra lighting, non-slip flooring, sit-down showers and adjustable storage systems in garages can go a long way to making a home more age-appropriate. 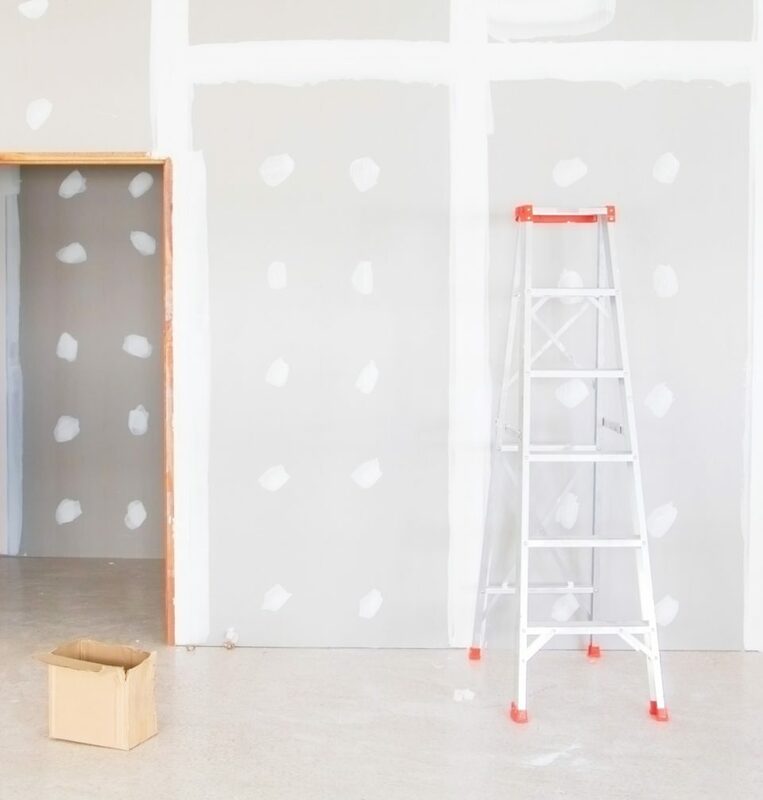 Some individuals look at taking down walls and opening up rooms in older homes to create more modern spaces that are easier to traverse. The future should be a consideration even for those who don’t plan to stay in their homes long-term. 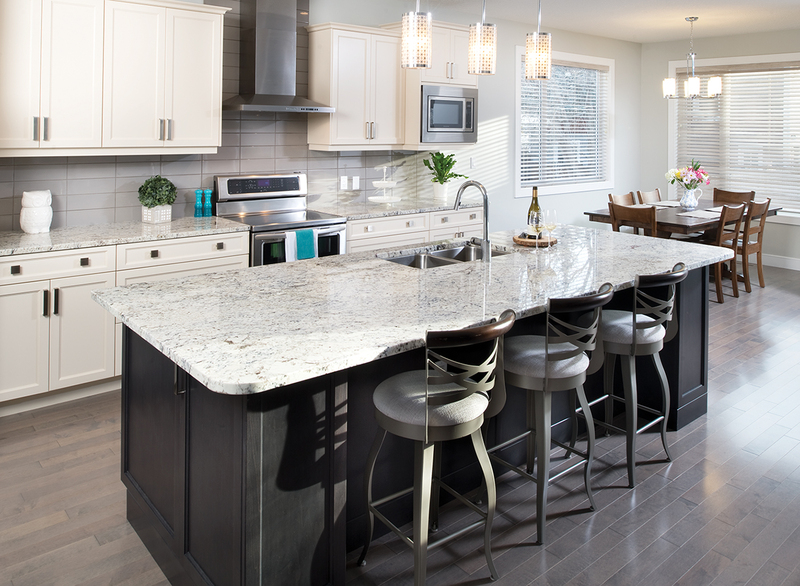 For those looking to sell down the line, a renovation can add value to the home; while some think that means large scale or overly decorative changes need to be made, Pryor disagrees. And those useful elements do not have to be exceedingly costly either. Jenelle Gartner’s initial plan was to have custom-built storage lockers at her back doorway for her family, but she realized IKEA cabinets would work just as well. She took that idea one step further in her daughter’s room where she custom-designed a dresser from an IKEA bookshelf by adding drawers and colourful handles. It was inexpensive and she’s been using it for years – initially as a change table, and now as a place to store clothes. Kitch, an Edmonton business owned by Andrew Hibbs, runs on that very concept – the idea of taking pre-fabricated IKEA units and custom-designing the doors and overlay to create unique looks. It’s a marriage between attractive design and functional pieces that can update a room for nearly half what it would cost to have it totally custom designed. It’s made kitchen cabinets, closet spaces and TV units with a final look completely different from anything in an IKEA showroom. 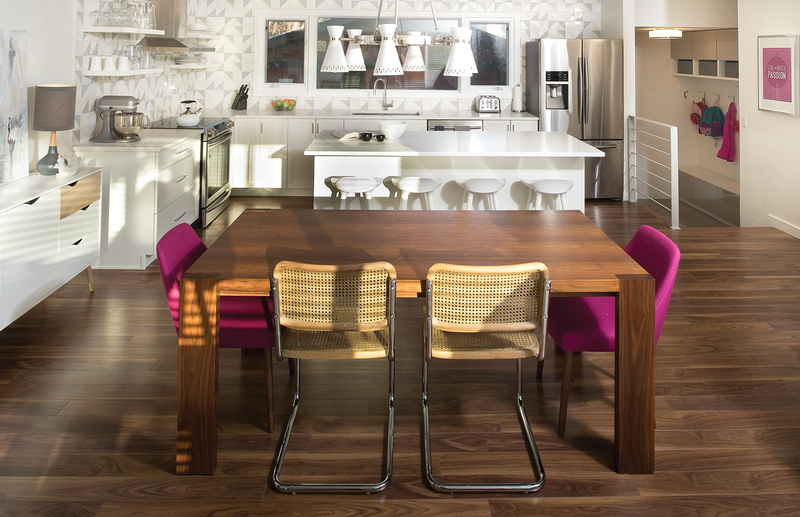 Kitch’s own showroom is a testament; there, an IKEA kitchen cabinet unit has custom walnut doors and a custom-made wood extension of the countertop crafted by Wood Inc, Kitch’s sister company. Hibbs says Kitch units are ideal for those wanting to renovate, knowing they may want to upgrade again in the future. He looks at the pieces as more akin to furniture rather than permanent fixtures in a home, since the units can be upgraded at any point with different colours or materials. Now, several months post-renovation, Jenelle Gartner looks back at the process of renovating her own home wistfully, saying she actually misses it and looks forward to making more updates. In the end, it was an enjoyable creative outlet – but without a solid plan, the opposite could have happened. Wolfe can share plenty of horror stories of clients who were suddenly motivated to start large renovations themselves. One couple started digging up their basement flooring and ended up with a hole that they left for four years as they were stumped as to how to address it. “We can fix it but, if you’re unsure, it’s best to just bring someone in who knows what they’re doing before hand,” Wolfe says. generation, and they require low if any maintenance over their lifetimes. What makes it so great? With a large oven capacity and multiple ovens with 10 different cooking methods – everything from baking to roasting to steaming – it replaces the need for smaller appliances like kettles, toasters and slow cookers. This article appears in the February 2018 issue of Avenue Edmonton. Subscribe here.